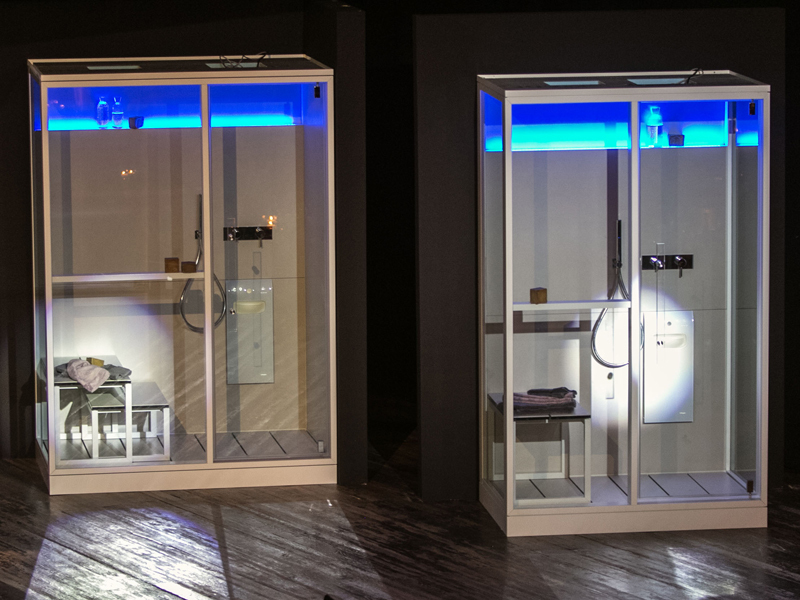 To make it possible to install a Hammam delivering professional performance in the smallest of spaces, three new models have been created. They all boast high quality materials and a versatile choice of finishes, essential features of all Logica designs. A large shower head (42x42cm) complete with nebuliser and thermostatic mixer with a 3-way diverter are fitted as standard.